Since May the 15th a new way of talking about politics and democracy started in Spain and spread all over Europe. London of course isn’t an exception. 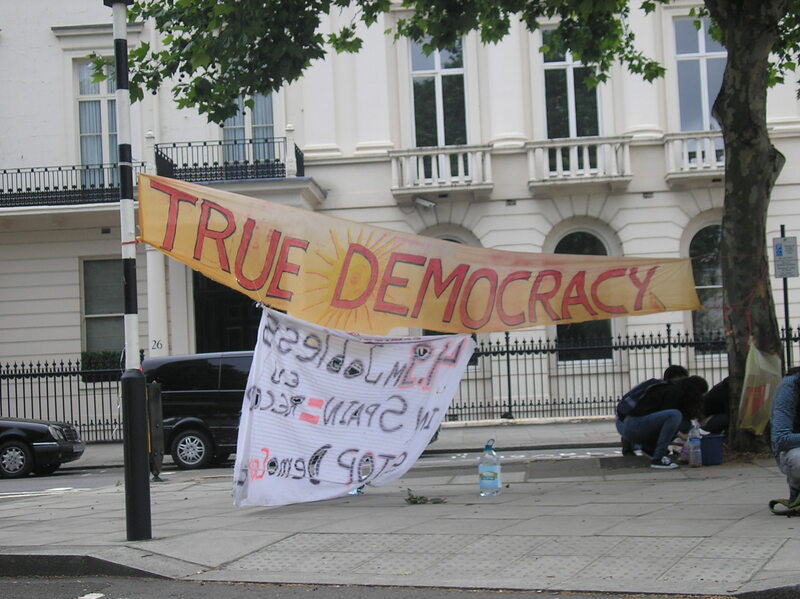 This is my interview with Hugo de Armas Estevez, one of the hundreds of guys demanding everyday for a “real democracy now” in front of the Spanish embassy in Belgrave Square.